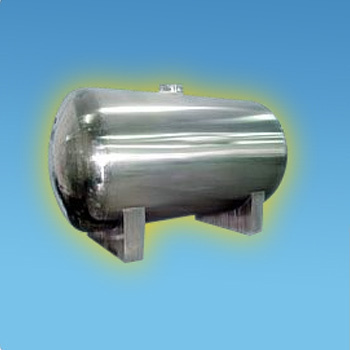 Our company manufactures and supplies Blending Storage Tanks which are used in various industries for specified applications. These are used to store compressed air and regulate the flow of air where it is required. Suyash Impex Pvt. Ltd., a leading Export House Status company in India, has created a niche in the global market and serves almost all continents in the world. The company specializes in manufacturing and exports of high quality precision turned components, Fence Posts, Fence fittings, Sheet Metal Components, Sheet Metal Stampings, Brass fittings, safety valves, and electromechanical assemblies. We develop our products with the best available raw materials, technology. Our all-in-house infrastructure comprising of Forming department, CNC Machining department, Fabrication department, Assembly department, Electroplating department and Tool Room gives us a competitive edge above our competitors with respect to quality and price. Further, we have in-house testing equipments for checking the products during the manufacturing process. We also customize the products as per customer guidelines. We follow ethical policies and maintain cordial and long term relations with our clients. We excel in providing timely deliveries and charge highly economical rates.